PJD Electrical ltd are a contracting company based in Burstwick covering Hull and Holderness. 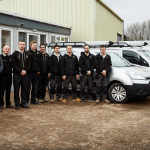 We are a small but growing team currently employing 7 Electricians, 2 apprentices and an office staff. We carry out installation and repairs to caravan sites, schools, commercial premises and residential properties. A vacancy has arisen within the company, offering the right candidate a great opportunity to join a growing business. Primary responsibility will be periodic inspection and testing of commercial and residential properties and assisting our QS with preparing quotations for remedial works. Ability to carry out minor installation work, connection of static caravans, also required. 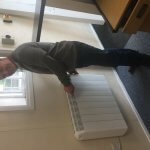 The position is permanent full time, and knowledge of current BS7671 essential. Must be flexible to work occasional overtime as and when required.